NA Graphics' owner, Fritz Klinke, has over 50 years of printing and letterpress experience and quite likely has an answer, or knows where he can find one, for your questions. I have had some changes this year. In June of 2018, I suffered a stroke that almost took me out the first day. We continued with out me and it was chancey at best. We kept open on a regular basis through March of 2019. My employee had to quit to move to a lower altitude of Arizona so we simply locked the door. I was recovered enough that I came home from the hospital to the worst winter in 70 years. Are we staying open or closing? Right now we are evaluating the entire situation. We have a lot to go through and clean up. Our hours may be a little sporadic as we try to handle your needs. As we progress through the summer months, we will know better which direction we are headed. I want to thank the large number of people who have wished me well through this. NA Graphics' owner, Fritz Klinke, has over 50 years of printing and letterpress experience. NA Graphics normal hours of operation are from 8 a.m. to 5 p.m., Mountain Daylight Time, Monday through Thursday. We currently close on Fridays at 3 p.m. Mountain Daylight Time. For those of you who are time challenged, that is 5 p.m. Eastern Time, 4 p.m. Central Time, and 2 p.m. Pacific Time. We often work past 5 p.m. for the convenience of our West Coast customers, but we don't come in early for our Eastern customers, sorry! Remember that 8 a.m New York time means we are just thinking about getting out of bed. Please read the balance of this page as it contains very important information concerning your order. A separate letterpress shop is run by Fritz. He has C&P, Kelsey, Vandercook, Miehle, and Little Giant presses along with hot metal equipment that includes a Linotype, Ludlow, and Monotype caster--plus literally tons (and tons!) of other equipment and type. Don't despair if the part you are looking for is not listed on this web site--most of what we have is not listed. We have listed the most common parts, but have several hundred other ones you need to contact us for. Please use Vandercook part numbers. If you don't have a manual for your press, break down and buy one. The manual will give you most of the part numbers, and since we have all the original Vandercook blueprints, we can locate almost everything else. We can furnish MSDS sheets on the inks and chemical products we sell and we are happy to furnish whatever you may need. Proper health and hygiene procedures are to be followed when using any printing related product, and thorough reading of the available literature, as listed in our Books section as well as product labels, will answer most of the questions you may have. Common sense and prudent handling of any material is the foundation of a safe and healthy working environment. Local, state, and federal laws and regulations may dictate the procedures required for handling products, the disposal of waste material, and amounts of waste material that may be accumulated before proper disposal. It would be prudent to check with local health departments concerning these issues, but you'll most likely draw a blank as none of these people know what letterpress is and will cite concerns related to currently available printing methods like offset and digital processes, none of which apply to letterpress. Bringing these people up to speed may be quite a task. Those concerned about working with petroleum based products like wash-up products may use vegetable oil (as in cooking oils) as an alternative for press cleaning of ink. Pregnant women should exercise due caution when using any printing related material that may be of concern and should consult with a health professional. Lead as contained in printer's type can be a definite health issue if handled improperly. Hand washing after working with any lead based letterpress material is an absolute requirement before eating, smoking, or going onto other tasks. Lead can not be absorbed through the skin, but must be ingested to be a problem. Lead used in type metal is an alloy of lead, tin, and antimony and is a stable product when used in daily letterpress applications. Old type that forms a white coating on it may contain lead oxides that can be harmful if ingested and should either be disposed of properly or be cleaned carefully under controlled situations before further handling. If you have children who have access to your shop, they must be instructed as to the proper handling of type and related printing materials. Children should never be allowed to play with type or related products and it is your responsibility to insure that they can't access your material. Many of us started setting type as teenagers and have enjoyed long lives with no lead problems, but only because we had proper training from the start. If you need immediate service, or have an impending and critical deadline or emergency, do not use this Internet ordering service or send us an email, but call direct to 970-387-0212 and talk to Fritz. We have to download orders off the internet, place them in line with the other orders we receive, review them, order things we may not have in stock, and all the rest, so internet orders are not automatically filled by some robot. The only automatic thing you get as a customer when placing an order from this web site is a computer generated acknowledgement of your order, and that's all it is, an acknowledgement, and not a guarantee that anything is happening. Prices shown on this acknowledgment are not final and may be subject to change as noted elsewhere in these coments. Your credit card is not charged at the time of ordering but when your items ship. There are 2 humans working this business and we try to respond as best we can with the stock we have on hand. Be advised that we rely on suppliers, some of whom are very slow, some even indifferent, but we have no other choices. Some speciality rollers that require new cores and trucks take additional time to have these things made plus the time to have the rubber applied. Have some patience, or with foresight, plan ahead on your needs. Remember that UPS shipping times do not include the day the parcel is actually shipped, or weekends, or holidays. Los Angeles is 4 days from us, Chicago is 4 days, New York City is 5 days, and much of New England is 6 days. UPS charges shown on your order form are based on approximate values for weights shipped from Silverton, but some of our material is shipped direct to you from our suppliers, and the actual charges may be more, and occasionally less. When the web site gets confused, it's run by a computer, remember?, it will often put in a default shipping rate of $25.00, and please don't take that as an absolute. Through this site, you can order essential items for your letterpress or offset shop. As we develop this site, more items will become available through this system. There are many items not yet listed on this site, and we can order just about any graphic arts product. Our search function, available in the upper right hand corner, is handy for finding items specific to your equipment--try a search for "SP-15" or "C&P". Can't find what you're looking for? Email us and we'll send you a PDF of our last mail-order catalog that was published in 2004. Be aware that internet searches may turn up out dated cached pages from our website that may contain incorrect current pricing or even items no longer available. Prices are subject to change, so if you need an estimate, please call Fritz: 970-387-0212! Shipping charges quoted on this web site are approximate quotes and may be adjusted upon actual shipment. Computer generated charges on this site, especially on single items, may be less than actual charges, and in most cases, actual charges will be a minimum of $5.00. If this is a concern, please call us prior to placing an order. This site will occasionally indicate that there is a 0 charge for shipping or a flat rate like $35.00. This sometimes happens for international shipments, and if a concern, please contact us for a better shipping estimate. Next day air is the most expensive, followed by second day, and third day air. If you are normally second or third day from us anyway, we will ship by ground. First Class mail and Priority mail are options as well, often being faster and cheaper than UPS. We do add a handling charge to move parcels to the post office, but it's close so we don't charge very much, usually $1.00. Certain commodities, like roller wash, aerosols, and California Wash, must be shipped by ground and are not allowed on airplanes under any condition. Certain items, like roller wash, liquids, and any aerosol product, may not be shipped by air and across international borders, and the U.S./Canadian border is international. With the Postal Service, UPS and FedEx, there is no guarantee that expedited service will absolutely happen. Silverton is considered an isolated, rural shipping point and there are too many things that can happen to delay a shipment. Please anticipate your needs to allow for at least a one day delay in even next day delivery requests. Most happen without a hitch, but be prepared. Even with International Air Priority mail service, it takes time to reach many destinations. A package with Heidelberg rollers recently took almost 6 weeks to reach Hungry, and we were relieved to get this message: "The package is arrived. Everything is ok. The stuff is very good." So be patient, we have yet to lose an international shipment. International customers should call us at +1 970-387-0212 for an accurate shipping estimate. The web site is currently unable to calculate proper shipping charges for customers outside the USA. Charges that appear on the check out page in the hundreds of dollars to countries like Australia are incorrect, so don't panic when these appear. We have to assemble your order, pack it, and weigh it, and get a postal price from the www.usps.com web page, and you can do that as well to calm your nerves. Not only has UPS raised ground shipping rates, but UPS has adopted the dimensional weight on ALL packages the same as FedEx utilizes. Multiply the boxes' dimensions and divide by 166 (139 for international shipments). If this is more than the physical weight it will be billed based on that dimensional weight. We are minimizing box sizes where we can to help you with this. Prices are subject to change without notice. We strive to eliminate, but are not responsible for any typographical errors that occur in this site. Please be advised that inventory is constantly changing, and that while we strive to maintain a complete stock, there are times when some items may be temporarily out of stock. A finance charge of 1.5% per month (18% annual rate) will be charged to past due accounts of 30 days or more from invoice date. Monthly statements will show past due amounts on overdue accounts and all past due amounts require payment for the account to remain open. Accounts that remain chronically past due will revert to cash only accounts at the option of NA Graphics. Times are tough, folks, and if you want us to be here to supply your printing needs, we have to be paid. Any material returned for credit must be in sellable condition upon our receipt and must have our prior approval. Please pack returns in a manner that will insure safe arrival. We stand behind our products. New items not made by us carry the manufacturer's warranty. No returns allowed after 30 days from receipt--check it out when you receive your merchandise! Merchandise returned at your option will be charged a 15% restocking fee. Payment required with order using a valid credit card. Payment may be made by check with payment required in advance, though that method may delay shipping until your check clears. Existing open accounts as of January 15, 2009, that go beyond 30 days for payment on any invoice will be placed on hold, and no shipments will be processed until the entire account is paid to date. Once an account has reached the 60 day past due point, it will revert to cash only with payment required in advance by credit card or check. University and school accounts remain on an "open" account status. The current economic situation requires that we protect our business financial condition so we can continue to serve our customers. Payment in advance may be made by check if you have received a total from us that includes shipping. Checks drawn on Canadian banks must be in US dollars payable through a US bank, and Canadian checks over $500 will be subject to a bank imposed service fee. All mail through the postal system has to be addressed to: NA Graphics, P.O. Box 467, Silverton CO 81433. Please do not use our street address for any postal item as it will be returned to you--they are getting pretty stinky about this. For all other shipments by UPS, FedEx or truck freight, please use only the street address: NA Graphics, 4 Mears Avenue, Silverton CO 81433. And include a note inside the package telling us who you are and what you need us to do--we get way too many mystery packages. After 12 years in our downtown Silverton location, we moved to our new building during September of 2008. We are now a mile out of town on County Road 2 on a side street at 4 Mears Avenue. 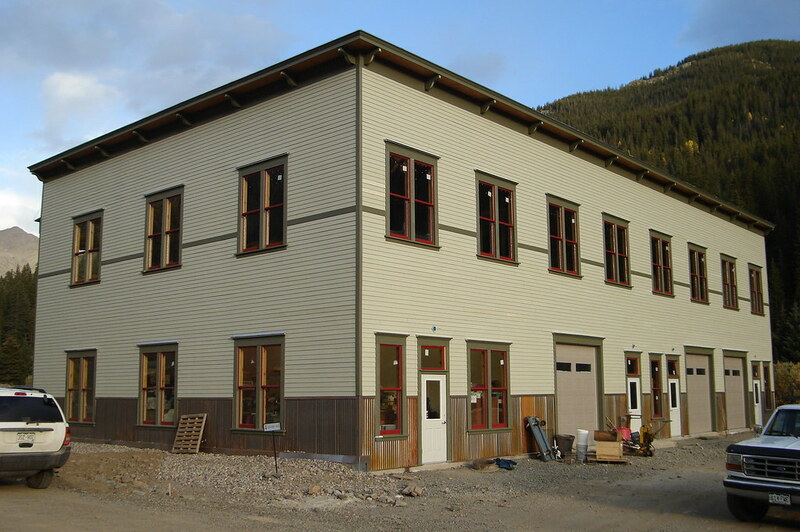 When we sold our old location in downtown Silverton, we built a new building primarily for NA Graphics and a slideshow of its construction can be seen here. We can still hear the train whistles as trains arrive and depart town, but we now have spectacular views of the surrounding mountains. We are located in a small new industrial park that is centered around the historic electric substation building built in 1906. We are adjacent to the Animas River and we have leased out the balance of the building to VentureSnowboards, and yes, Silverton has a ski area that is quite spectacular SilvertonMountain. Click the following links to see our new building and the view we have from our front door. 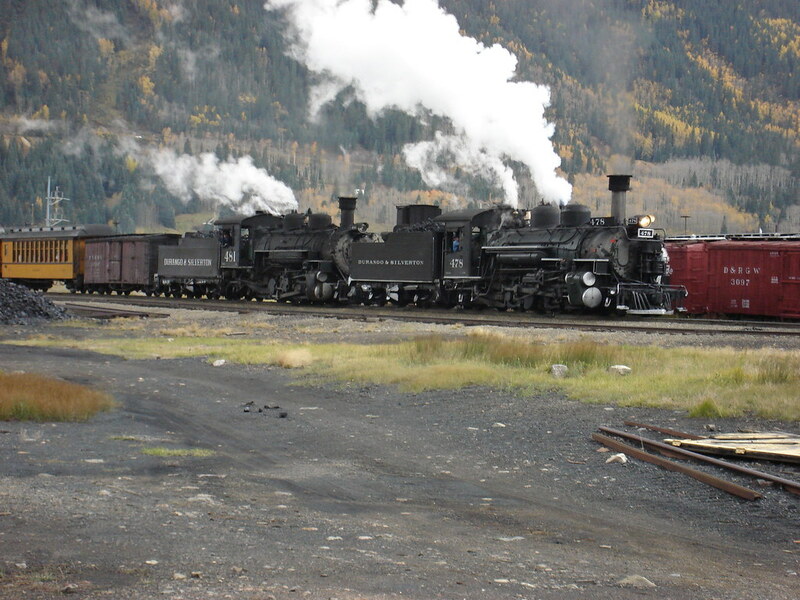 The third link is a view of a double headed train entering Silverton, a daily occurance May through October every summer. The big news for our little town happened August 5, 2015, when the "Gold King Mine Disaster" took place. This unintended release of several million gallons of mine waste containing lead, zinc, and other toxic heavy metals were released into Cement Creek, which ultimately feeds into the Colorado River. 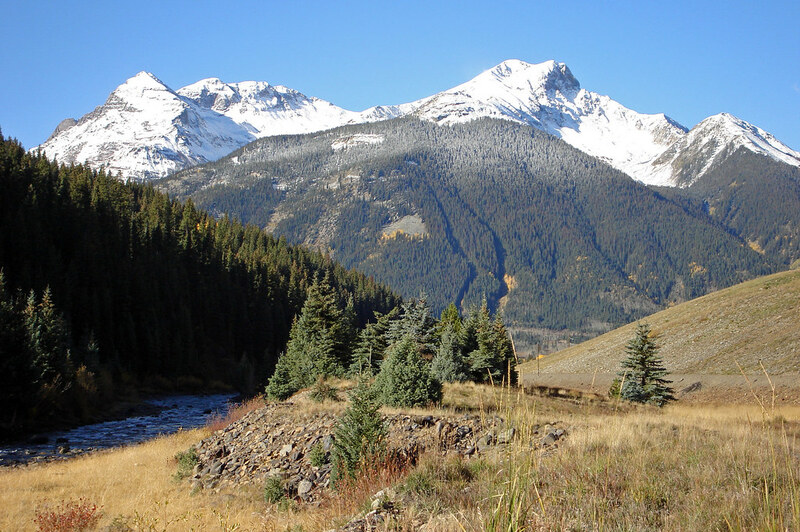 This several day long event, caused directly by work being performed under the direction of the EPA, has lead to the nomination of the Silverton area as a Superfund Site and that application originated from our local governments and the State of Colorado. This Superfund site has been named the Bonita Peak Mining District, Superfund Site. This affects NA Graphics to some extent as our building is now within a designated "Study Area" because of the proximity of past mining activity, even though the Gold King Mine site is about 9 miles from us. The EPA has spent in excess of $30 million on this event in the months following 2015's disaster, and we even had the EPA chief, Scott Pruitt, in town for part of the day last summer. 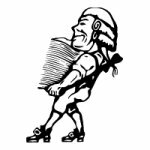 Another recent video of interest is the Silverton Standard, about how our local historical society has saved the Silverton newspaper from going under. Produced by AARP, it is well done. Printed by letterpress up to 1971, the paper carries on a great publishing heritage. The latest Silverton video was done by the HD Network folks and they caught NA Graphic's owner at his former restaurant while having lunch with our staff. Venture Snowboards, who shares our building, has just come out with a new, short video that includes a number of views of our building that houses NA Graphics and Venture Snowboards. Venture added another video in early December of 2013. Silverton has one highway connecting us to the rest of the world. The winter of 2013/2014 tested this fragile link on the north bound segment over 11,000 ft high Red Mountain Pass that connects us with Ouray, the next town to the north. A massive rock fall closed the highway and the resulting cleanup work disrupted our daily events, primarily affecting through traffic and the U.S. Mail. This video shows the effort it took to reopen U.S. Highway 550. This road was originally built by Otto Mears in the 1880s as a toll road and to this day is a monumental piece of engineering, and a road that scares flat landers to death. It acquired some new dimension the late winter of 2019. What became the worst winter in 70 years turned really bad in March. A several day storm turned out quite brutal. Red Mountain Pass was closed to traffic for two weeks and U.S. 550 had snow up to 60 feet deep closing it. An on-going project started in 2007 has been the construction of our new print shop adjoining Fritz's 1883 era house. It has 2000 square feet plus an additional room for a hot tub. Work has been concentrated lately on getting the exterior finished, but equipment is being placed. The last piece situated was the Nolan 600 pound remelter. As we finish 2017, there is still a lot to move in--the type collection, hundreds of galleys full of type and linotype matrices, all the Ludlow matrices, and many parts and pieces. A photo journey is available on Picassa, and the most recent photos are on flickr.